Every year millions of wildebeest and zebra migrate from the southern plains of Tanzania’s Serengeti National Park to the lush grassland of the Masai Mara in Kenya. En-route they have to cross the Mara River, dodging the enormous crocodiles which lie in wait. These famous river crossings are an undoubted safari highlight, but getting into the best position to see a crossing, and indeed photograph one, takes a bit of planning. 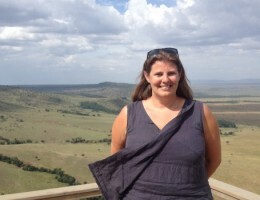 I spent six days in the Masai Mara last September and saw three separate crossings. Here are my top tips to get in the right place at the right time. 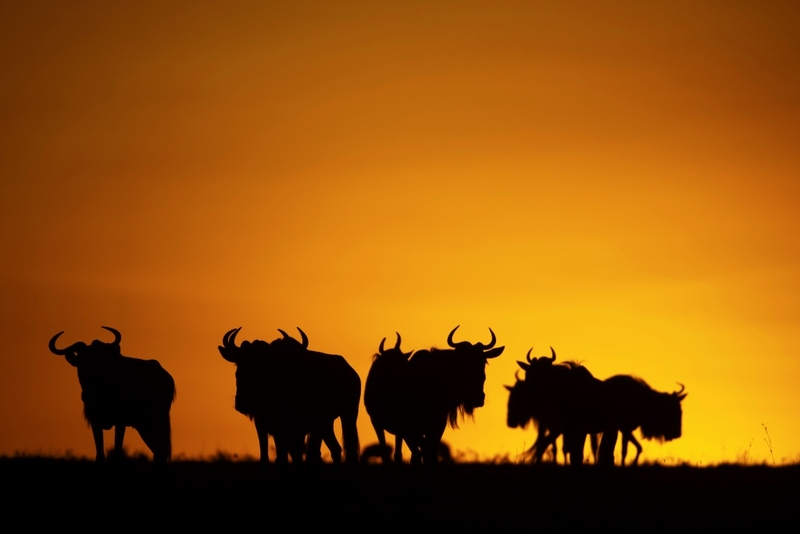 It is possible to see the wildebeest migration throughout the year but to see a river crossing you need to visit the Masai Mara or northern Serengeti between mid-July and the end of October. 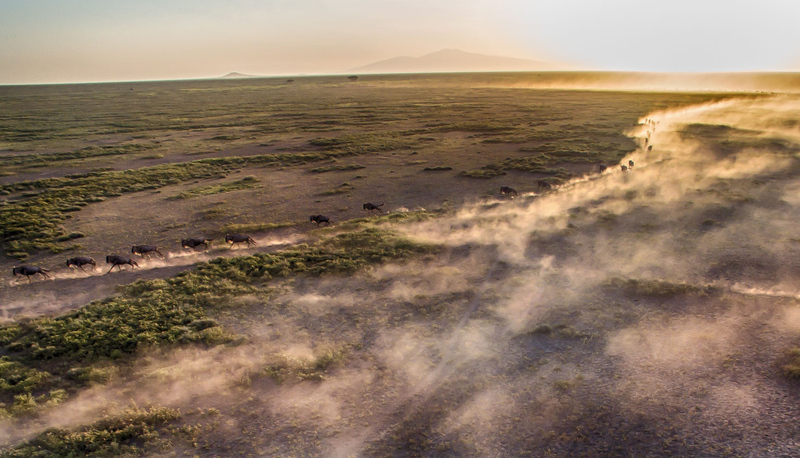 This is when the wildebeest herds criss-cross to and fro, risking life and limb every time they negotiate the river, all in search of the richest grazing. 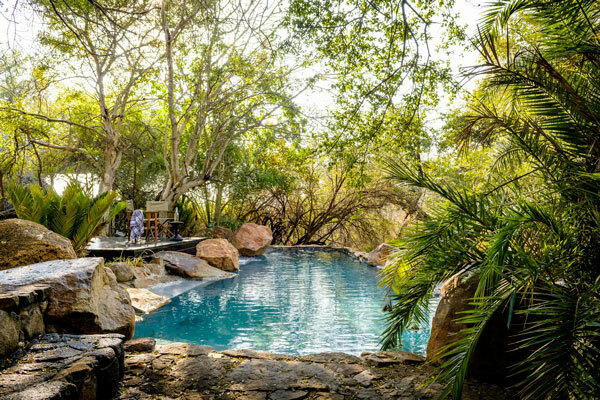 (i) Choose the right camp – Rekero Camp, Sala’s Camp and Angama Mara in Kenya are ideally located close to favoured river crossing points. 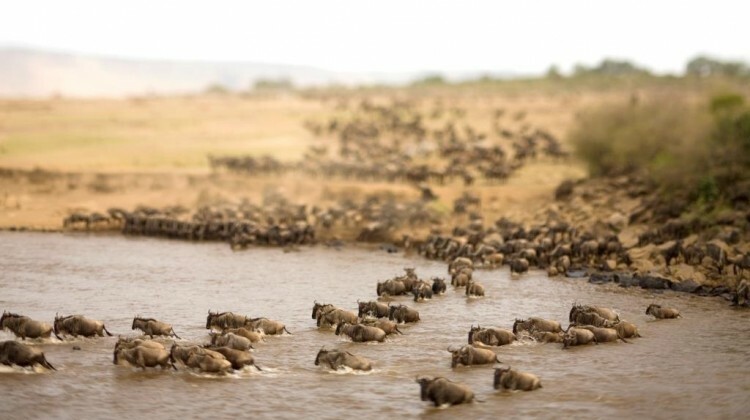 In fact Mark Hannah, one of Aardvark Safaris’ founding directors, watched approximately 6,000 wildebeest cross the Talek River (a tributary of the Mara River) while he ate breakfast at Rekero Camp one morning. 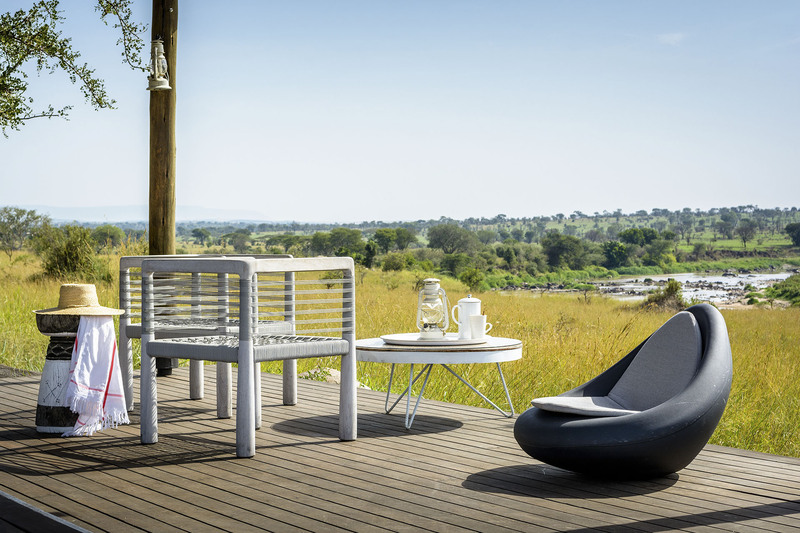 (ii) Don’t forget Tanzania – in recent years a clutch of camps, Sayari, Lamai Serengeti and Singita’s Mara River Camp, have opened in the north of the Serengeti. 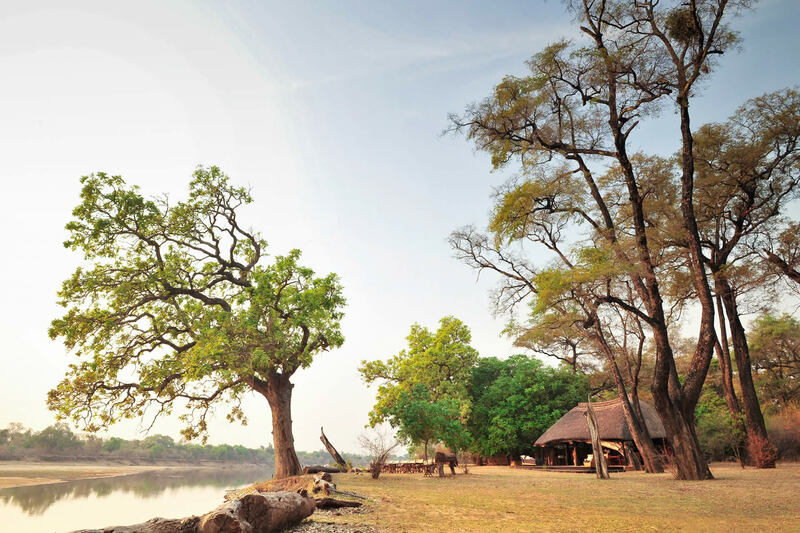 Mara River Camp is within sight of a crossing point and the river is easily accessible from the others. (iii) Good camps have good guides – and their knowledge and experience is invaluable. (iv) Follow the lines – as the herds are drawn from one place to another area and you will see them walking in huge long lines – follow them. 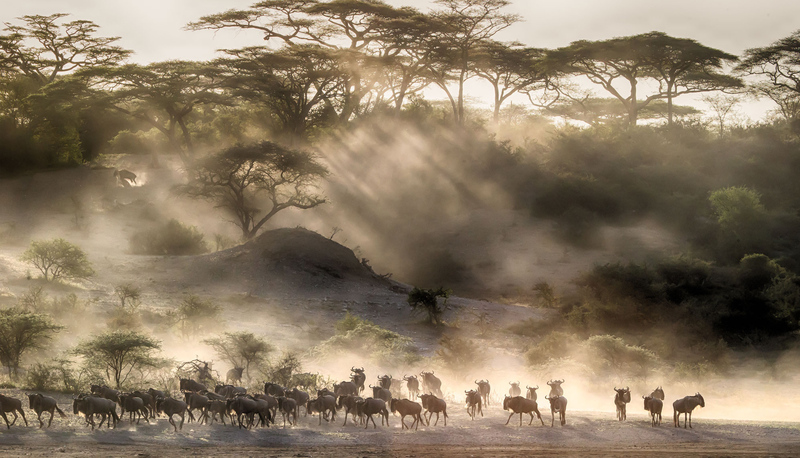 (v) Race to the dust – the wildebeest herds kick up a huge amount of dust as they rush down the river bank. This spirals into the air and can be seen from some distance. Despite all the above there’s still a certain amount of luck involved. 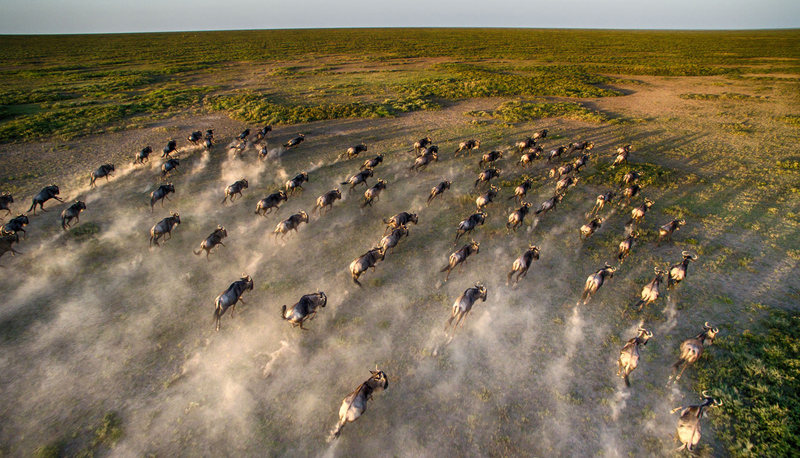 Wildebeest and zebra will gather in their hundreds, and very often thousands, at a particular crossing point. They can remain for hours, sometimes days, get spooked and then not cross. It is almost like a game of ‘dare’; once one goes then they all tend to follow. At each of the three river crossings I saw, the wildebeest and zebra spent ages waiting only for the topi to come down and cross immediately – the zebra and wildebeest followed suit. In my experience it is better to photograph the wildebeest crossing the river towards you and a good guide will try and position you so this happens. Getting in place before other vehicles means you should get a prime spot. Witnessing a wildebeest crossing is not for the faint hearted; the sounds of the animals calling to each other, the ‘heart in mouth moments’ as a crocodile stalks its prey, and the sheer numbers of animals is an extraordinary thing. Getting in the right position allows you to see some elements a little too closely for comfort; but this is all the cycle of nature. My Canon 50D with a 70-300mm lens proved a good choice to photograph the wildebeest crossings I saw, and you’ll need a fast shutter speed to catch all the action in focus. A longer lens (a 100–400mm f/4.5-5.6L) would have allowed me to get closer shots of animals on the far bank while also being able to zoom out to get ‘the bigger picture’. Richard’s blog article ‘6 Camera Choices For An African Holiday’ has an overview of the best cameras for a safari holiday. It looks at everything from smartphones to full DSLRs with recommendations from wildlife photographers. After all that, patience is the one thing you really need to take with you! 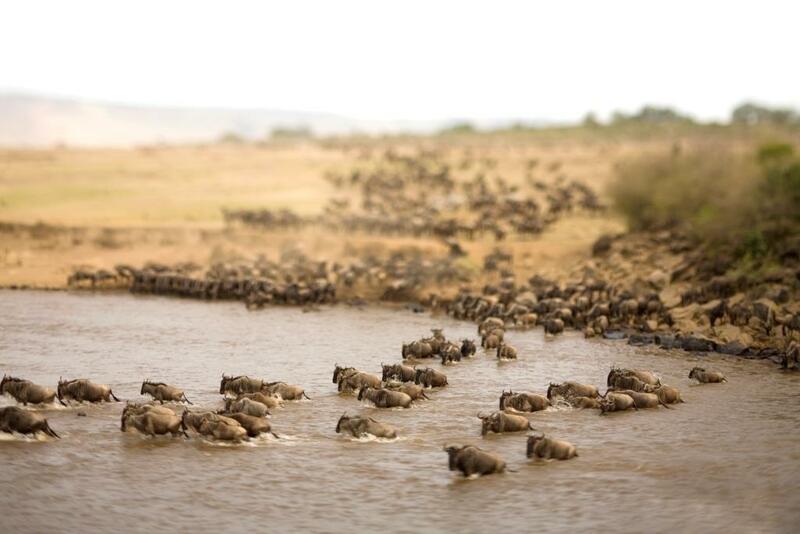 You could be lucky and arrive at a river crossing point just as the wildebeest decide to go, or you could sit all day for the herds to decide not to cross after all. My advice? Don’t expect to see a river crossing – if you do then the reward is huge but the disappointment not so great if the wildlife does not behave quite to plan. And remember the Masai Mara has a huge amount to offer beyond the wildebeest migration with wonderfully varied game viewing and stunning scenery. If you’ve got this far and not found an answer to a question you have, or you think there’s something more about photographing a wildebeest crossing that we should have included, please ask in the comments section below, or pop us an email. We’ll be sure to reply and may amend the article to include our answer. Whichever way you choose to capture photos on your safari holiday, we’re happy to help with advice. 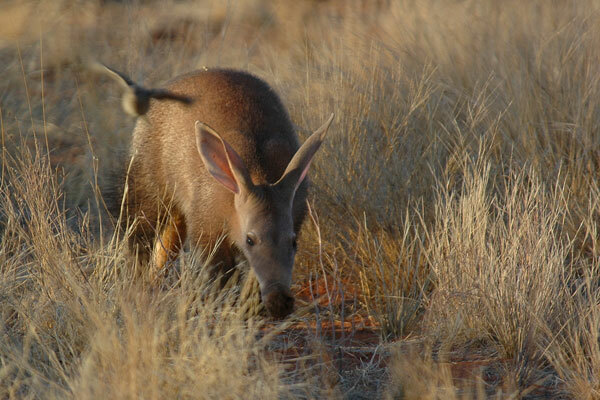 We’ve got keen photographers among the team at Aardvark Safaris for the relatively easy stuff, and are pleased to be working with David Murray, a professional photographer based somewhere between the UK and Africa, for the tougher, geeky questions. 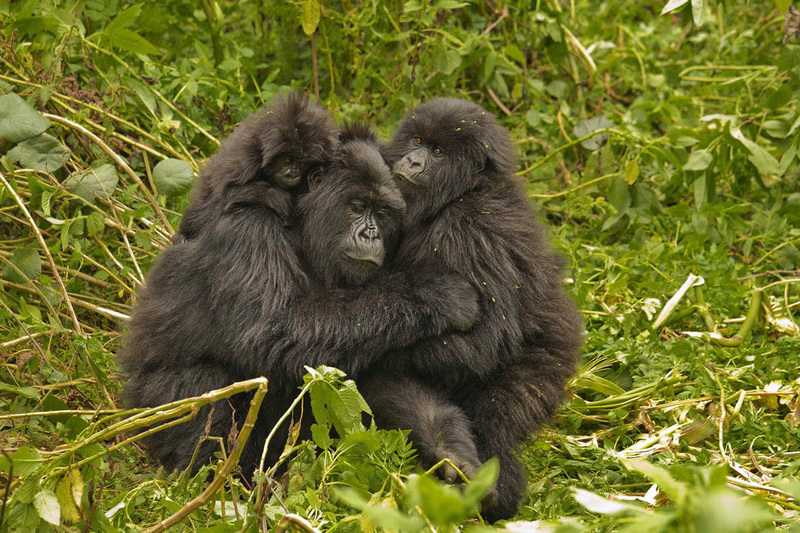 We can suggest camps with hides, the best lodges for private vehicles, specialist photographic holidays, or simply match you with guides who understand photography. Looking for a SLR with IS, video, large zoom, and good in low light with good optical zoom. While some of the team here are keen photographers, none of us are particularly great at individual recommendations.